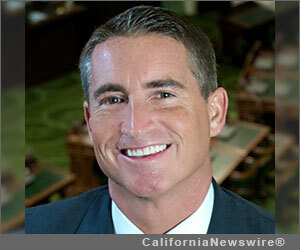 THOUSAND OAKS, Calif. /California Newswire/ — The Office of Assemblyman Jeff Gorell (R-Camarillo) announced today that he and Calif. Lt. Governor Gavin Newsom, co-founders of the economic development effort “Gold Team California,” will be hosting a 3-day conference on future civilian applications and job creation opportunities for unmanned aerial vehicles (UAVs). Non-military application of this technology is the fastest growing manufacturing sector in the global aerospace industry and expected to grow by 700% between 2012 and 2018. Gold Team California has partnered with the world’s largest aerospace association – American Institute of Aeronautics and Astronautics (AIAA) – to bring this conference to Ventura County which will attract industry leaders; aerospace manufacturers; local, state and federal elected leaders; economic development professionals; and prospective commercial UAV customers from throughout the nation to share achievements and visions for civil and commercial uses of unmanned drones. The symposium will include panel discussions on future applications for UAVs in the areas of public safety, agriculture, movie-making, disaster response, communications, as well as the economic development projections and opportunities for the industry in California. Co-hosting the conference are Assemblyman Steven Bradford (D-Gardenia) and State Senator Steve Knight (R-Antelope Valley). The conference is scheduled for March 26-28 at the Westlake Village Hyatt Plaza in Thousand Oaks. Event information and registration website is at https://www.aiaa.org/CAuav/. More information about Gold Team California can be found at www.cagoldteam.org.